Sgt. 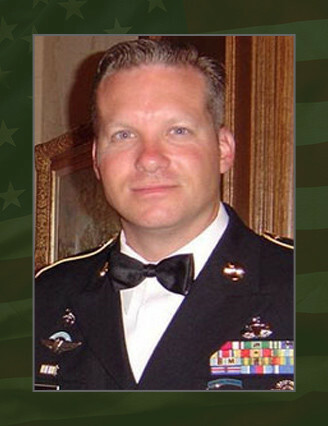 1st Class Christopher L. Robinson, 36, a Special Forces Communications Sergeant assigned to 2nd Battalion, 20th Special Forces Group (Airborne) out of Elliott, Miss. died Mar. 25 when he was fatally struck by enemy small arms fire during a combat patrol. Robinson, a resident of Brandon, Miss., enlisted in the Army in 1987 as a radio operator. After his Basic Combat Training and Advanced Individual Training, he attended the Basic Airborne Course and the Special Forces Qualification Course to become a Communications Sergeant. Robinson served his entire career with 2nd Bn. 20th Special Forces Group (Airborne), deploying to locations within Bolivia and Argentina, South America; Haiti; Kosovo; and Afghanistan. He was also a member of the Mississippi National Guard Counter Drug Task Force from 1992 through 2005, where he served in various positions across the state in support of the war on drugs. Prior to this deployment with 20th SFG (Abn. ), he served with the Task Force as the Jackson Operations Ground Team Leader Noncommissioned Officer-In-Charge. His military education also includes the Primary Leadership Development Course, Spanish Language Course, Basic and Advanced Noncommissioned Officer Courses, Spanish Jumpmaster Course and Military Free Fall Course along with numerous tactical weapons courses. Robinson’s awards and decorations include the Joint Meritorious Unit Award, Meritorious Service Medal, Army Commendation Medal, Army Achievement Medal, Army Good Conduct Medal, National Defense Service Medal, Kosovo Campaign Medal, Armed Forces Service Medal, Armed Forces Reserve Medal, NCO Professional Development Ribbon, Army Service Ribbon, Army Reserve Components Overseas Training Ribbon, United Nations Medal, NATO Medal, Basic Parachutist Badge, Military Free Fall Parachutist Badge, Bolivian Jumpmaster Parachutist Badge, Argentinean Parachutist Badge, Italian Parachutist Badge, Paraguayan Parachutist Badge, Peruvian Parachutist Badge, Basic Marksmanship Qualification Badge and Special Forces Tab. Robinson was posthumously awarded the Bronze Star Medal for valor, the Purple Heart, the Meritorious Service Medal and the Combat Infantryman Badge. Robinson is survived by his wife, Tamara, daughter, Savannah, and son, Patrick, of Brandon, Miss. His parents, George and Mary, of Madison, Miss., his sister, Denise Schimmel, her husband Jay Schimmel and nieces, Sullivan, Britton and Caroline all of Jackson, Miss. also survive him.